The Italian Caffe is the first enoteca restaurant in Glasgow. It's a place to come and enjoy fine wine by the glass accompanied by mangiare al forno – food straight from the oven. And it's right in the heart of the Merchant City. I had a fantastic lunch with great service. Always lovely food and excellent service. Always enjoy the tapas style plates. Liked the fact that we weren't rushed out the door but able to relax with a drink after the meal. Everything was lovely apart from the music on a loop with periodic and annoying adverts. Why? Please either just have music or silence. Excellent food. Great choice of dishes and always something a little bit different. The restaurant was cold. We had to sit with our jackets over our knees. Our waiter was very helpful and nice. Hard to fault. A little pricey but worth it. Some special offers would be great! My daughter and I really enjoyed our meal . Staff were friendly and efficient and the food was excellent. Fantastic meal with my family, we all enjoyed the excellent food. Exceptionally large portions for “small plates” and very attentive service as always. The restaurant is one of my favourites in the city, we’re looking forward to our next visit. Delicious food served by excellent staff. Left to enjoy an overdue catch up with an old friend without being interrupted or hurried. Provided with a box to take home leftovers. Will definitely return and recommend to friends. Once again we have had an wonderful meal at the Italian Caffe. We have eaten Italian in many parts of Italy and Sicily,it is lovely to go into this restaurant and have the same amazing standard of Italian food which we love. The staff and service are wonderful, I would go as far to say it is one of the best Italian restaurants in Glasgow. A nice lunch with friendly service. Always good food  and service! Food was great but service wasn’t great sat with no drink and menu in front of us for 35 minutes! Also everyone around us was given bread before their starters and we seem to get forgotten being pregnant and hungry I would have appreciated the gesture. 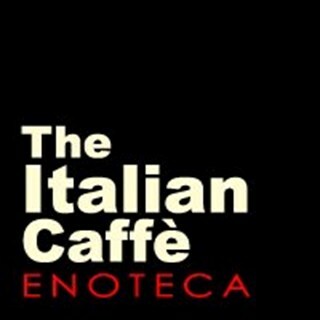 Excellent concept of Italian food and drink culture,well done.